Ooredoo Kuwait, last updated on 19 Febraury 2019 , is listed under Telecommunications & Internet category. It was added to Kuwait Directory Rinnoo.net on 21 October 2015 . Pages of Ooredoo Kuwait on Rinnoo.net have achieved 595,043 views till now. 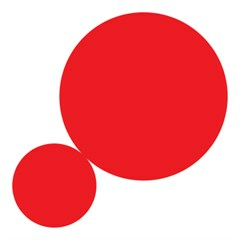 Ooredoo in Kuwait, formerly known as Wataniya Telecom, is a member of Ooredoo Group. Commercially launched in December 1999, the company provides mobile, broadband internet and corporate managed services tailored to the needs of customers and businesses. Ooredoo is guided by its vision of enriching people's lives and its belief that it can stimulate human growth by leveraging communications to help people achieve their full potential. * Most viewed out of 65 branches. Sorted based on branches' views in the last 30 days, from Thursday, 28 March 2019 till today.